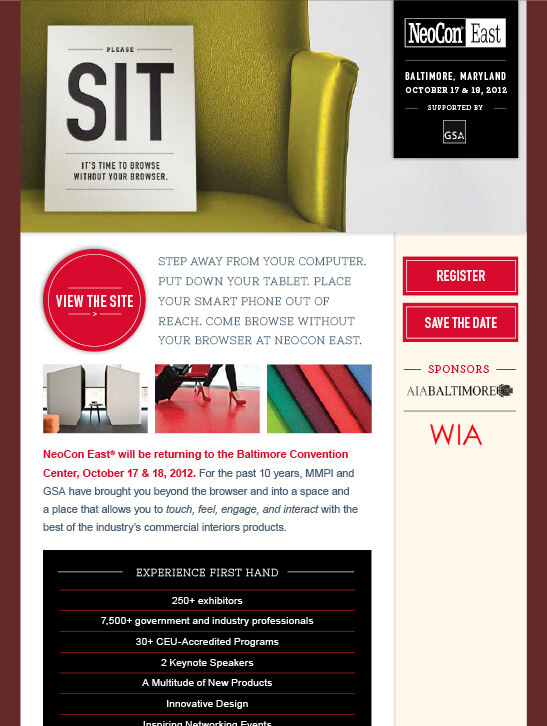 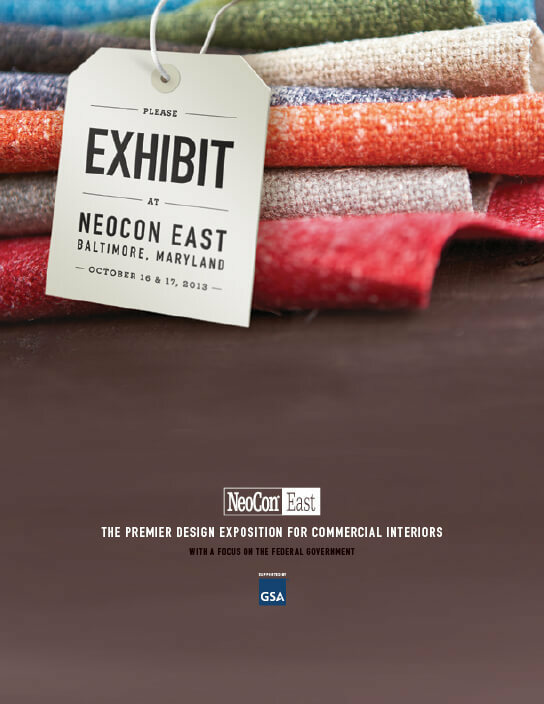 Located in Baltimore, the contract furniture tradeshow attracted attendees throughout the east coast metropolitan area. 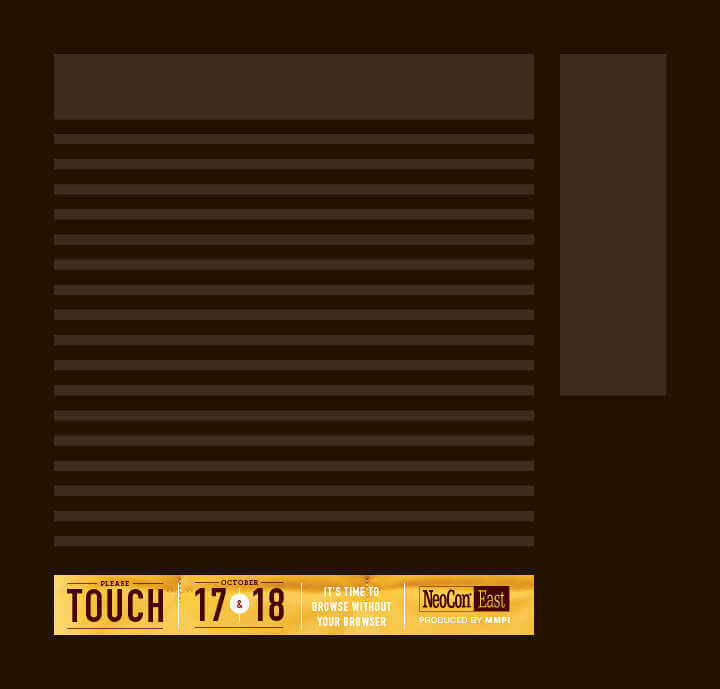 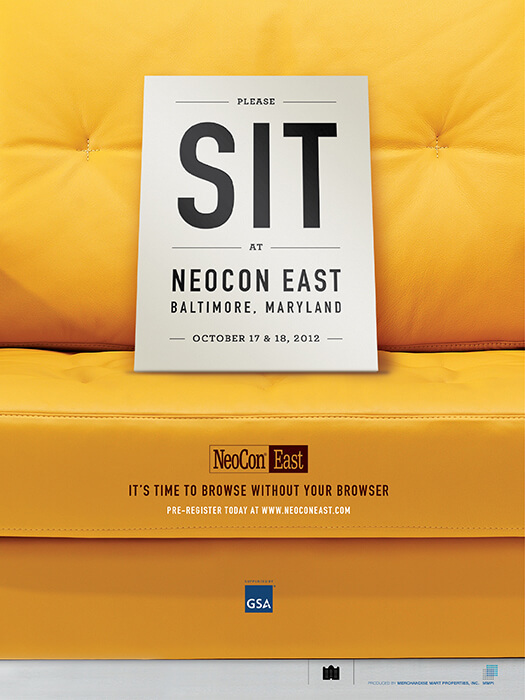 Fictitious signs were retouched into the photographic scenes and placed onto the furniture inviting buyers to step away from their computers and come sit on, touch, and feel the actual products at the show. 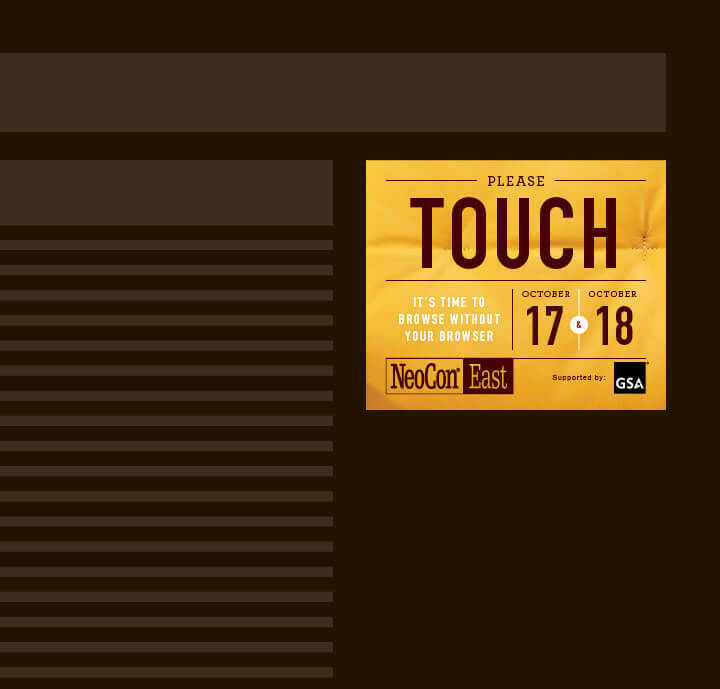 3 Uniquely provocative ads were placed in some of the most popular industry magazines. 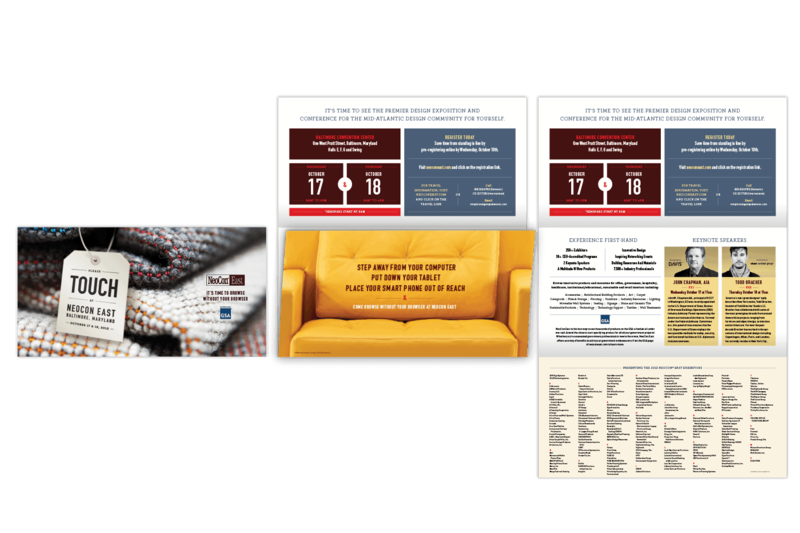 A series of three ads were designed to populate the pages the industry’s favorite periodicals. 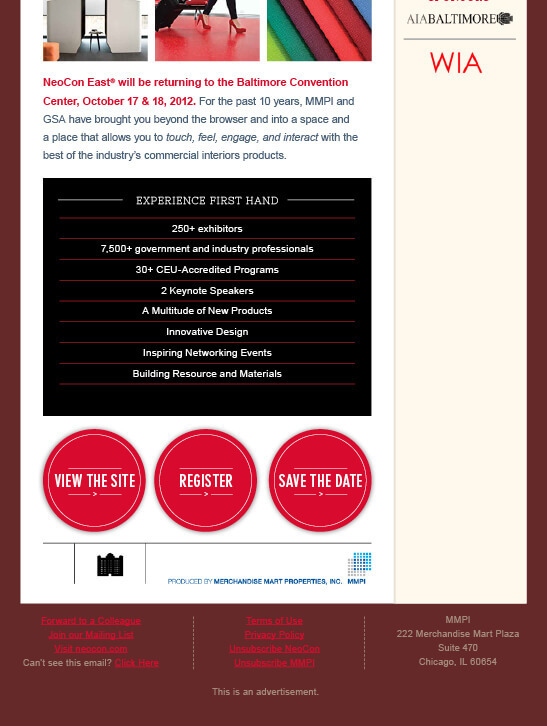 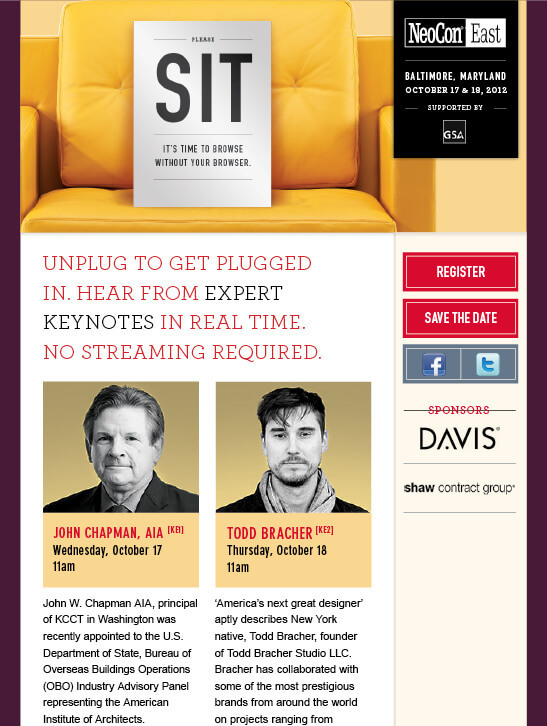 The ads invited potential attendees to see the products up close and personal. 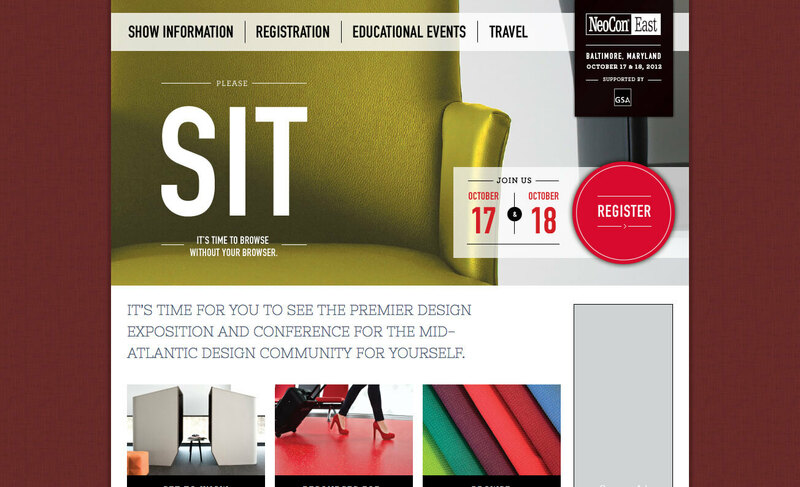 Website The design of the website brought the same visual system into an interactive online experience. 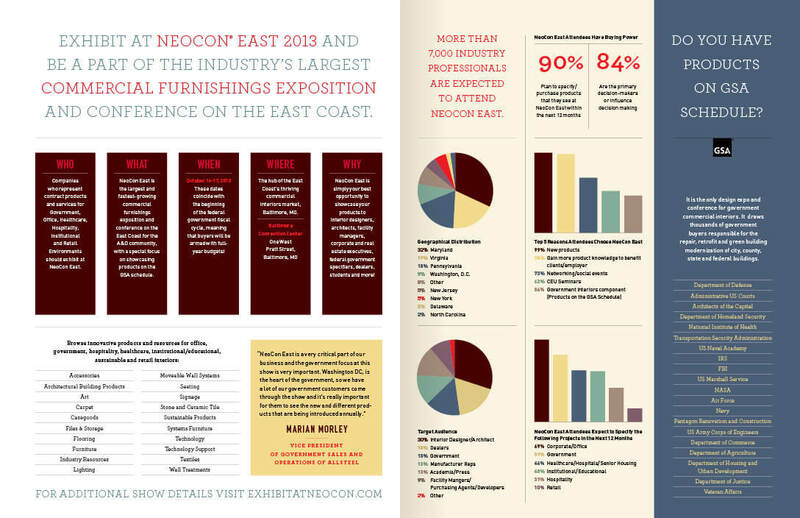 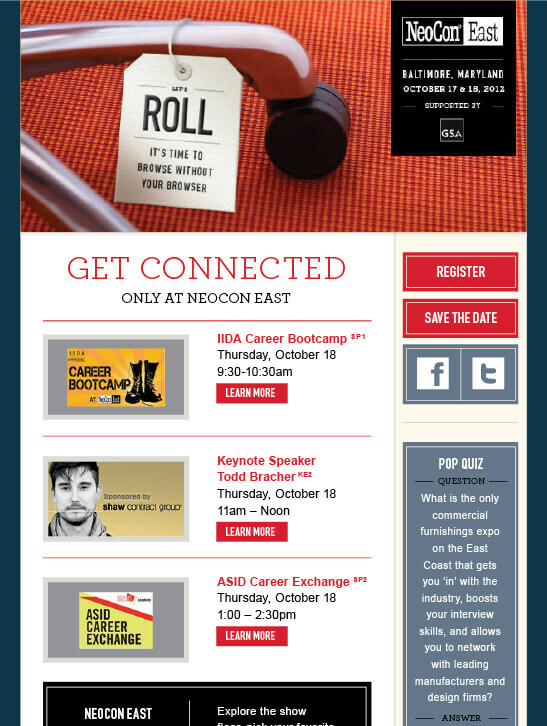 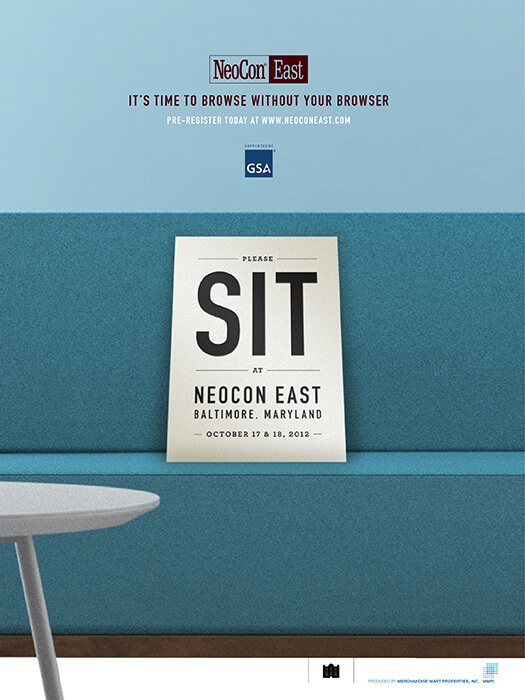 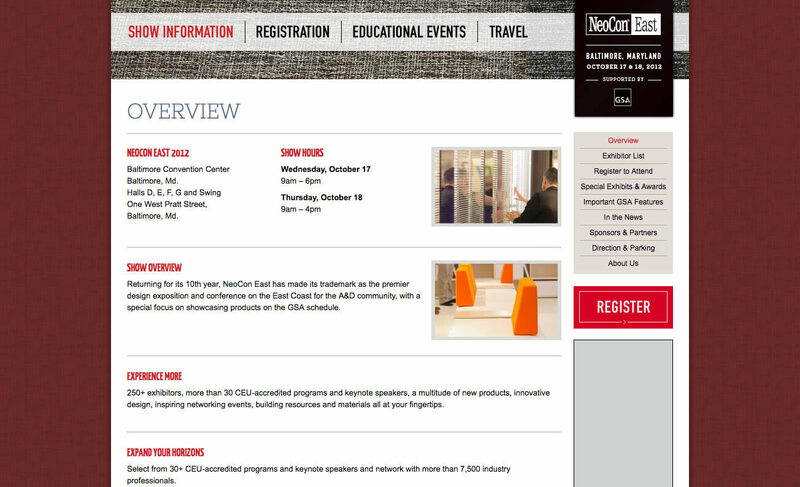 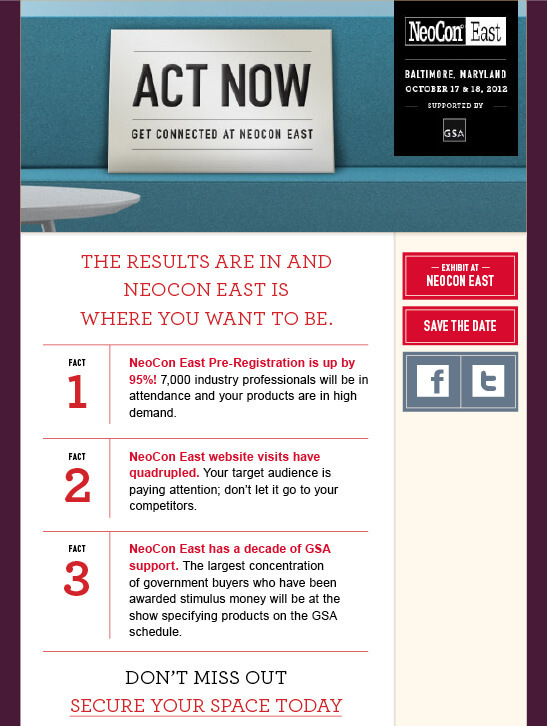 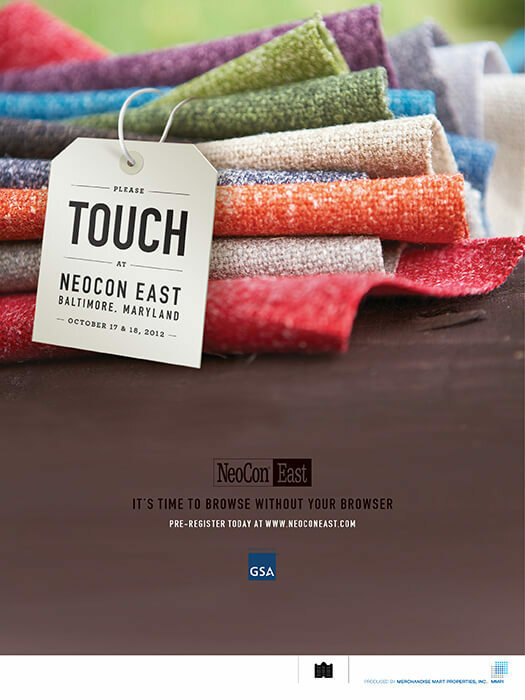 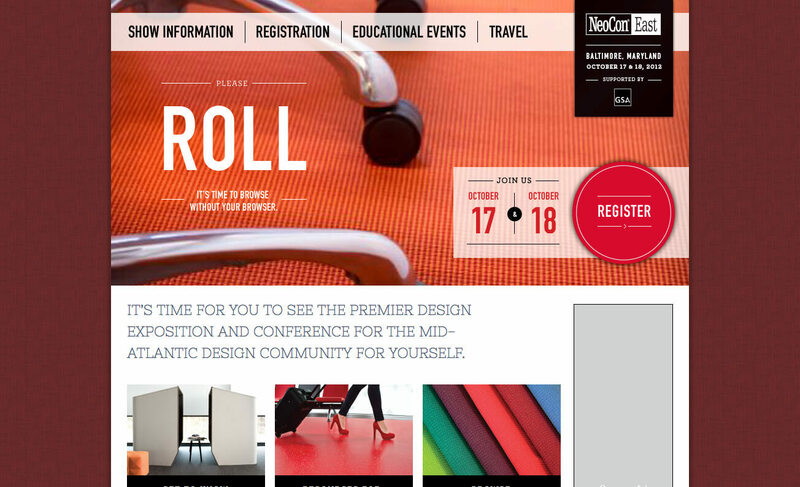 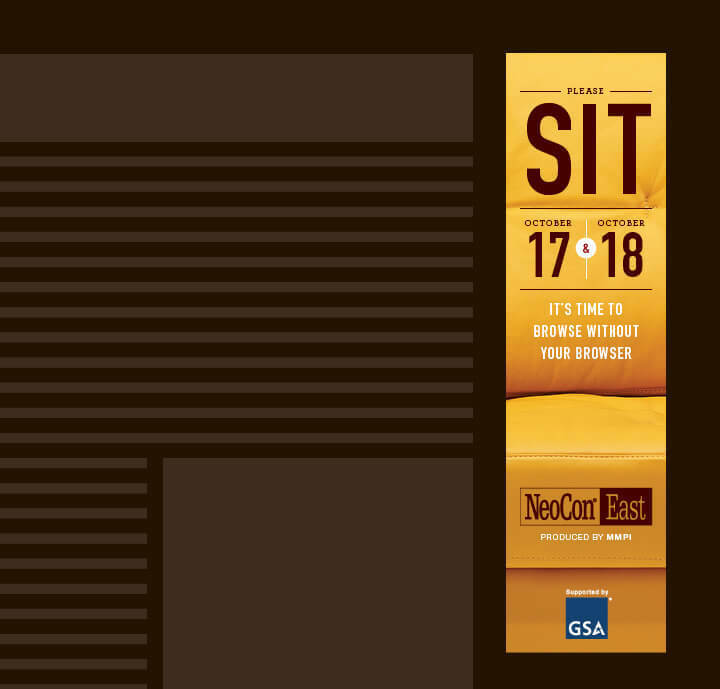 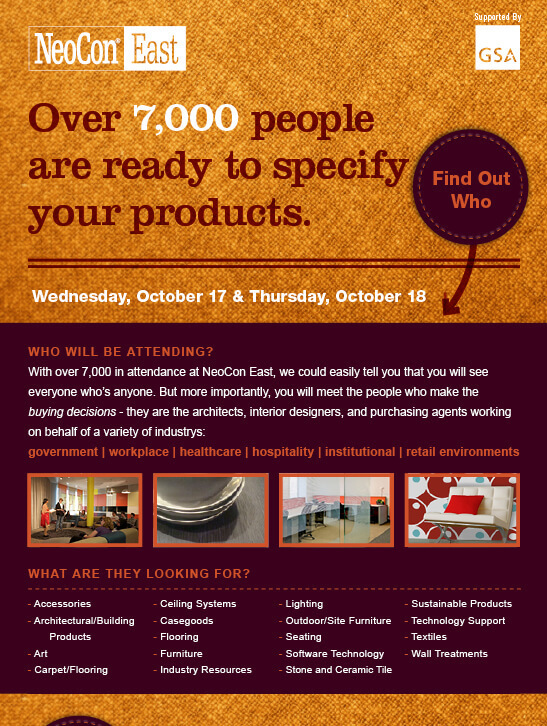 This brochure was both printed and delivered as a PDF to potential exhibitors explaining the benefits of exhibiting at NeoCon East each year.